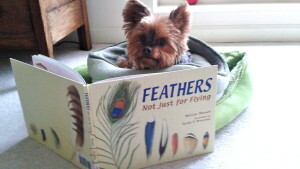 Home Uncategorized FEATHERS: A Picture Book That Really Flies! Hi! 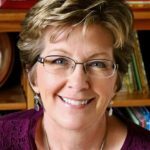 I’m excited to be joining the merry band of picture book writers and illustrators on Picture Book Builders. 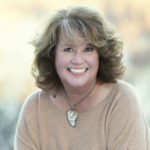 Writing nonfiction is my thing, so I’ll be chatting about inspiring nonfiction picture books in my posts. And here we go! Last week I was excited to find the new picture book, Feathers, Not Just for Flying at my local library. I’d been wanting to read this book for two reasons. First, it’s written by Melissa Stewart. I’ve admired her nonfiction books for many years, and she’s a science nerd—like me. Second, it’s published by Charlesbridge, one of my favorite publishing houses. The cover of this book is gorgeous. (Aren’t the feathers adorable?) And I love the scrapbook-type layout and soft colored backgrounds on the pages inside. But it was the lovely, short text about the different things feathers do that really caught my attention. I often struggle with including too many details in my picture books, and I find myself constantly battling to keep my word count under 1000, so Melissa’s sparse text was refreshing. The seemingly simple text accomplishes so much! In under two hundred words, the book explains the many jobs feathers do, such as help birds float, sink, glide, walk, fly, and more, while comparing each type of feather to a familiar object. Genius! Each spread also contains a sidebar (or two) with more details about each type of feather or featured bird. More genius. The main text of this book inspired me to consider ways I could create shorter, less-complex nonfiction stories. Although some topics require a longer word count for various reasons, I decided to see if I could take one of my works-in-progress and trim it to one sentence or less per spread, as Melissa had done in Feathers. I knew this would be difficult for “wordy” me, but I found some encouragement in the Author’s Note where Melissa explained she’d spent three years tinkering on her text. Three years on two hundred words! Her timetable made me feel better about the long years I’d spent editing my stories. So I set out to re-envision (not sure that’s a real word) one of my manuscripts as a shorter piece, and after several days, was pleased with the results. It isn’t ready to send to an editor, but this exercise forced me to think about the basics of my story and to mercilessly cut nonessential elements. More importantly, it got my brain thinking about my topic in a whole new way. 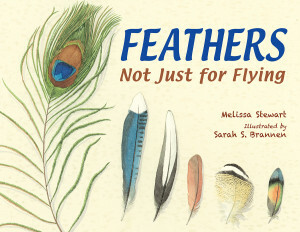 Nonfiction lovers’ side note—Melissa also created a wonderful Teacher’s Guide to accompany Feathers. Her guide includes student activities that address curriculum standards (Common Core State Standards and the Next Generation Science Standards.) The genius continues! So now I’m wondering, have you found any unique, nonfiction picture books lately that have inspired you to re-envision your work-in-progress? If so, I’d love to hear about it. Thanks for stopping by! 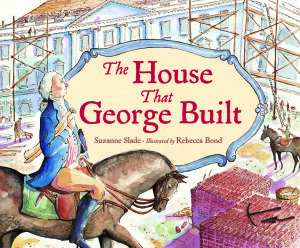 Charlesbridge, Feathers Not Just For Flying, Melissa Stewart, nonfiction picture books, Suzanne Slade, The House That George Built, tight writing. Bookmark. I own a copy and I love it. It’s the perfect blend of spare text, fascinating facts and lovely, intricate watercolor illustrations. I agree. The watercolors are gorgeous. So glad to have you, Suzanne! This book looks beautiful–can’t wait to have a look. The spare text brought to mind Laura Purdie Salas’s lovely non-fiction book A LEAF CAN BE (she has a companion book–WATER CAN BE–but I haven’t read it yet). Have to agree, nonfiction pbs are awesome! Well-crafted, succinct nuggets of fascinating information. Glad you love them too! I used two books – which use compare/contrast for the structure – to help me on a manuscript. One was Those Rebels, John and Tom [Barbara Kerley, Edwin Fotheringham] and the other was The Camping Trip that Changed America [Barb Rosenstock, Mordicai Gerstein]. Very timely post. I was just writing a nf draft last night trying to use sparse text. Great post, Suzanne. So glad you could join us! I, too, am encouraged to hear that Melissa played with her text for 3 years. Gives me hope. Figuring out which nuggets to keep is definitely a challenge. It’s so easy to get mired down in details when your research has uncovered so MANY. I use the word re-envision all the time! It means I’m rethinking the whole story not just tinkering with the text. The Iridescence of Birds (about Matisse) and On a Beam of Light (about Einstein) made me rethink how a PB bio might be written. Do kids really need the names of places–or just the feel of the place? Do they need specific dates? I agree with Jill that writers can get mired in the details. It’s difficult to discard what you’ve worked so hard to find! Thanks for this post, Suzanne! Glad I’m not the only one using “re-envision.” Great non-real-word! Thanks for a great post, Suzanne. 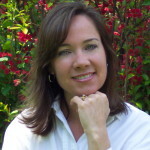 Melissa Stewart is a wonderful author. Love her books! Welcome, Suzanne! What a great post. It must be so hard to find the right balance of interesting fact and TMI. Thank you! Hooray, Suzanne! So happy you’ve joined Picture Book Builders! And I’m so happy you’re here too, Patty! Loved this post, as a ‘wordy’ writer also. Sparse text CAN capture the essence that is the heart of the story–the magic of picture books is that the additional info is so accessible in the illustrations and/or sidebars. Thanks for a great post Suzanne. I agree. Illustrators do such a fabulous, creative job of sharing much more than we can with words!